Epithet means "deltoid, triangular in outline." Evergreen, 8 in. (20 cm). Zones 6 to 8. The low-growing Polystichum deltodon serves as a reliable foreground evergreen with kindred shade lovers. sional appressed tan scale. Blades are lanceolate, once-pinnate with 15 to 18 pairs of chubby, leathery pinnae. Sori with peltate indusia are marginal. This species can be confused with Polystichum acutidens. 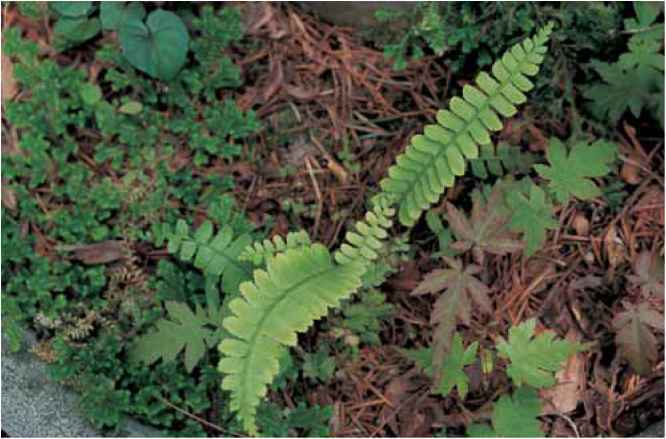 range and habitat: Polystichum deltodon grows in the low mountain forests of Japan, Vietnam, China, Taiwan, and the Philippines, frequently on limestone. culture and comments: Jim Horrocks of Salt Lake City, Utah, introduced this species to U.S. culture. It has been a stalwart favorite in his Zone 6 garden and been reliable in gardens across the United States from Seattle, Washington, to Pittsburgh, Pennsylvania. I have my plant in shade and soil that is not enriched with limestone. 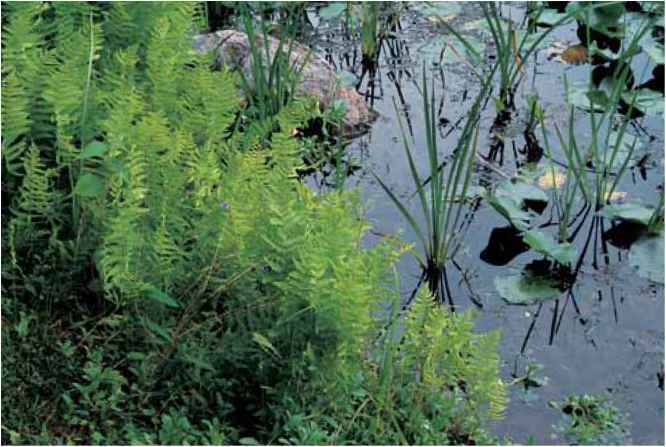 This fern produces an abundance of spores, but they do not germinate with great enthusiasm.